“Star Wars Battlefront 2”, the next game in the highly anticipated Battlefront series, is now available for digital pre-order and pre-download on Xbox One. STAR WARS Battlefront II Standard Edition ($59.99 USD) – Pre-order and receive STAR WARS: THE LAST JEDI Heroes, with exclusive themed looks inspired by the upcoming film. STAR WARS Battlefront II: Elite Trooper Deluxe Edition ($79.99 USD) – This bundle includes up to 3 days early-access to STAR WARS Battlefront II, plus STAR WARS: THE LAST JEDI Heroes, with exclusive themed looks inspired by the upcoming film and the Elite Officer Upgrade Pack, Heavy Metal Upgrade Pack, Armored Assault Upgrade Pack and the Master Specialist Upgrade Pack. 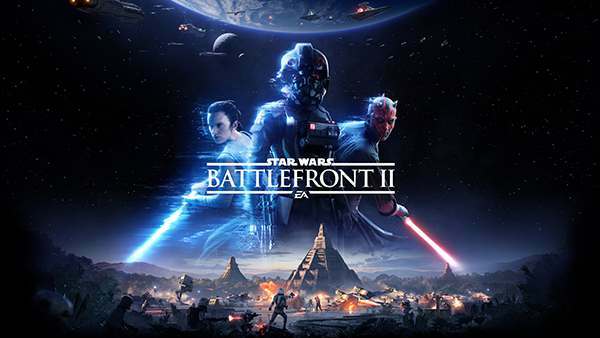 For more information on Star Wars Battlefront 2, check out all of our coverage via the Xbox One Games hub right here on XONEHQ, and dont forget to follow us on Twitter, Google+, Facebook, YouTube and Pinterest for more of the latest Xbox One news, upcoming Xbox One games, release dates, game trailers, screenshots and loads more.